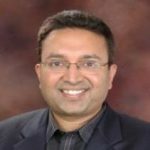 Vishal Gupta is General Manager (Engineering, Product mgmt., BD) for End-Point management and Control and Compliance (CCS) product lines at Symantec that have over 10,000 customers. Vishal has turned around the business in a short time through a combination of innovative product releases, customer success programs, and focusing on a few sales plays. For Healthcare providers and payers, Vishal is focusing on use cases to drive management of the IT and Medical devices, compliance (HIPAA and PCI), security, and operational analytics via machine learning and analytics. Vishal is a seasoned Engineering and business leader with a proven track record in both developing award winning products and in creating and growing a scalable business for those products. Prior to Symantec, Vishal was the Chief Product and IoT Officer for Silent Circle, a cyber security and privacy company. At Silent Circle, he launched the industry’s first Enterprise Privacy platform comprising of mobile and IoT devices, Applications, and services. Prior to this, Vishal was a VP/GM for IoT with Cisco for several years. He led Cisco’s global efforts to transform industries by creating differentiated IoT products, partner eco-systems, and transformation services. Some of Vishal’s award winning IoT products included Hospital room of the future and Vishal was also President of HIMSS Asia Pacific chapter. Prior to this role, Vishal led Globalization for Cisco by launching Centers of Excellence in India, China, Jordan, and Mexico across all of Cisco’s technologies. He transformed the India center with a focus on Innovation, Productivity, and Globalization and directly led a team of over 900 professionals across Software and Services. He also led the development of innovative software solutions that enabled access to Healthcare in emerging markets. He is a proven leader and strategic thinker and has presented in several industry conferences in cyber security and healthcare. Prior to Cisco, Vishal was VP of Global Solutions Engineering and Partner Enablement for MetaSolv Software, where he drove Global Solutions, Presales, and partner enablement. He was also Director of Sales Engineering at Nortel Networks and prior to that was a management consultant with Mercer management consulting. Vishal has a bachelor’s degree in electrical engineering from BITS Pilani in India, an MS in computer engineering from Dartmouth College where he graduated as Henry J McCarthy fellow, and an MBA from Wharton Business School where he graduated as a Palmer Scholar.